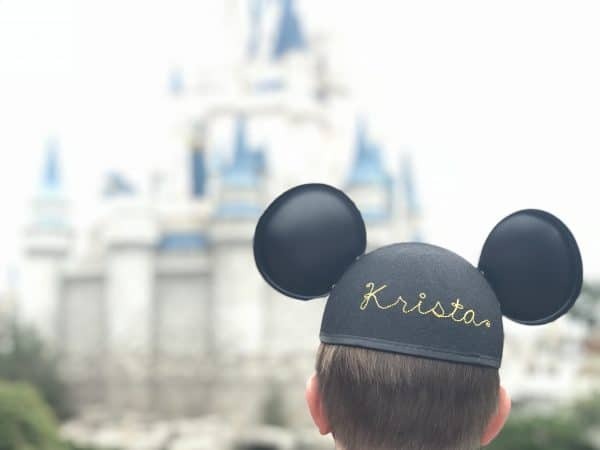 Photographs are some of the best souvenirs you can bring home from any vacation, and it is safe to say that most people visiting Disney World will come home with at least a few photos to remember their trip by. So, to help make sure you get the best photos possible, we wanted to share our favorite Disney World photography tips with you. 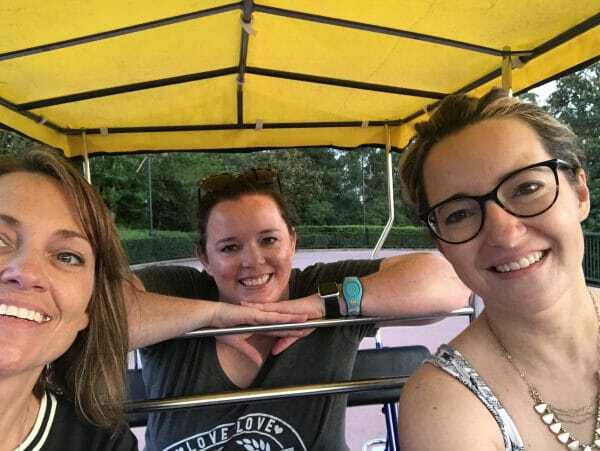 From our philosophy to our favorite apps (to a few of our pet peeves), we have have lots of suggestions, tips, and ideas to help you take Walt Disney World vacation photos you'll be proud to share. Should you take your camera or just use your cell phone? What do you plan to do with the photos? Which are you most comfortable with? Is this a special event? Which do you want to carry? Don't be afraid to crop! When I first started going to Disney World I took photos of everything - not because I needed the photos for the site, but just because I was on vacation and everything was new and cute. I just knew I'd want to look back on those photos forever and ever. My photos weren't that good. The same is true for the videos I took of the fireworks and attractions. The truth is, back then I was spending a lot of time taking photos that I never looked at again because for the most part my photos were mediocre pictures of "things" and not pictures of moments and people. All it takes is a quick search on the internet to find high-quality photographs and videos of nearly every "thing" you can find in the parks. But do you know what you can't find? Photos of your family enjoying those things. So, instead of taking a photograph of the fireworks, take a photo of your child enjoying the fireworks. Instead of taking a photo of your Mickey Bar, take a photo of your child eating a Mickey Bar. Capture those moments with your loved ones and let the people with the skill and proper photography equipment capture the "things." Photos take up a lot of space, and whether you are using your cell phone or a digital camera, you'll need to figure out where you will store all of your pictures. Dropbox, Amazon Prime Photos, Google Drive, etc. are all popular places to store photographs and you can even use handy apps like IFTTT to automatically back up your photos. Make sure you have plenty of storage available for it, too. If yours uses a memory card, make sure you have an extra to carry with you and a way to download the photos off of them while on vacation. 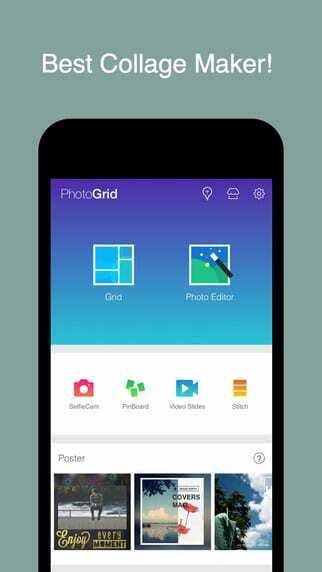 If you'll be using your phone at all for photographs, you'll find that there are lots of apps available just for editing and sharing pictures. These are some of our favorites but new apps come out all the time. Your best bet is to try out a few and find ones that meet your skill and comfort level. Collages are a popular way to showcase a collection of photos together. Photo Grid is my favorite collage app and it has lots of options that I love - many collage layout options, ability to add a background color/pattern, filters, square crop (perfect for Instagram) and built-in poster styles. Listen, I'm in my 40s now and time has started making herself known. If you'd like to tweak your appearance from your phone before sharing your pic elsewhere, one of our favorite Disney World photography tips is to get this app to make some quick adjustments before you hit "post". While many people may find the full Photoshop desktop version to have a steep learning curve the Photoshop Express app is a great alternative for anybody looking for a user-friendly way to easily edit photos. There are very few instances where the flash on your phone will ever be useful. 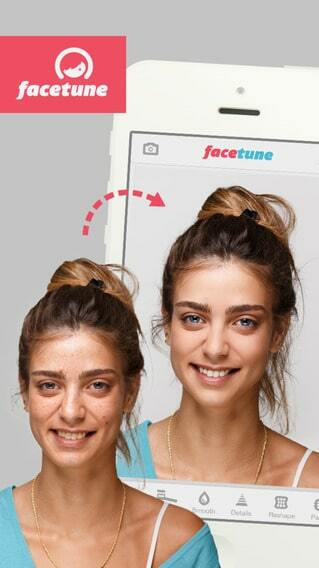 In fact, it will make your photos worse is most cases. Unless you are planning on taking a photo of something close to you, leave the flash off by default. 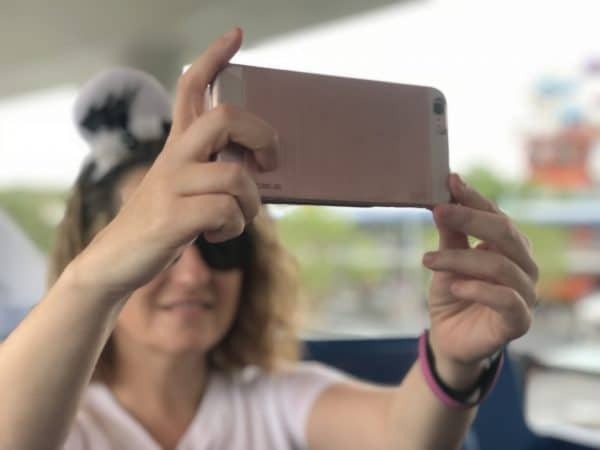 Take some time to learn about the features on whatever camera you plan on using during your Walt Disney World vacation. One of my favorite ways to do that is on YouTube. There you'll find a ton of instructional videos for nearly every camera and cell phone camera you can name. Even when I think I know everything there is to know about something, I'll find out a new trick or tip by watching a few videos. Most newer cell phones' cameras are high enough quality to provide photos that are perfectly fine for sharing on social media and even for developing in smaller sizes. However, if your goal is larger-scale photographs then you may want to consider using a higher-quality camera. We wouldn't recommend buying a fancy DSLR camera the week before your vacation and then planning on using that for all your vacation photos. If you want to get the best photos, stick with what you feel the most comfortable with. 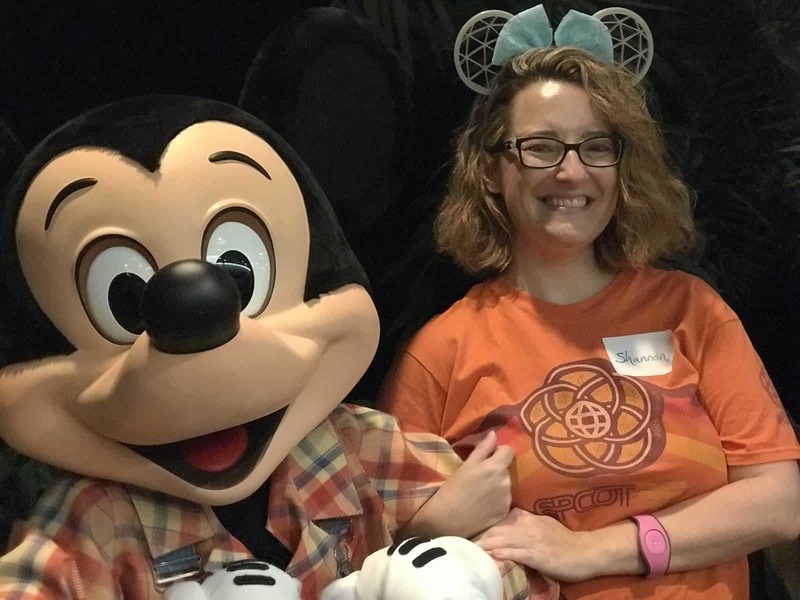 There is a difference between general park touring and special events (things like your little one meeting Mickey for the first time or attending Mickey's Not-So-Scary Halloween Party). If you will have your camera on vacation and you know it takes better photographs than your cell phone, special events and magical moments like that are good times to bring your camera into the parks. This answer may change each day of your trip, but it is important to think about it before you walk out of your hotel. There are some days when your plans may not make carrying a camera around an easy thing to do, so before you find yourself regretting bringing it into the park, think about what makes the most sense. Need a place to stash your camera while in the parks? All of the parks have lockers that you can use. When you see something you want to take a picture of, don't just take one. Instead, take lots of photos. Try different angles or if it is an action shot or candid photo opportunity, use a burst mode. You are a lot more likely to get the "perfect" shot if you have a bunch of pictures to choose from. That way you can keep the best of the best and delete the rest. This might also be a bit of pet peeve of ours, too. If you've ever watched any of the firework shows at Disney World it is almost humorous how as soon as the first explosions go off, in nearly perfect unison people's cell phones, cameras, and even the dreaded iPads go up above their heads. Holding your phone up above your head won't give you good pictures of the show. But, what it will do is annoy the people behind you that suddenly have your arms (and camera) in front of their faces. In fact, unless you are taking a picture of the smile on your child's face as they watch the show up above, skip the photographs all together. Remember our philosophy: don't take photographs (or video) of things you can find in higher quality online. If you are photographing something (or someone) shorter than you, whenever possible try to get down to the level of that person/object. Keeping the lens at the same height as the object you are photographing will give you a much better picture in the end. Sometimes changing your angle can make an "okay" picture look fantastic. Think about the composition. What can you use to create a natural "frame" around your picture? Is there something distracting in the shot that you need to avoid? Check out Tony Northrup's tips for lots more tips on setting up the perfect shot. Do not feel like every photo has to be a hyper-staged, Instagram-worthy shot. Keep your eyes out for good opportunities for candid shots, too. Lots of times those are going to be the ones that will recall the strongest emotions and memories long after you return home. Cropping is a fantastic way to de-clutter a photo and focus in on only the most important part. Don't be afraid to crop a picture. Disney PhotoPass photographers are located all throughout the parks and while it costs money to purchase the actual photos from Disney it is absolutely free to have them take your picture. So, even if you aren't positive that you'll buy any photos go ahead and have them snap a few shots and then hand over your camera and have them snap a few with that, too. That way you double the chance that you snag the perfect picture. Character meals are fun but getting pics can be awkward since there isn't a defined area to pose, the lighting can vary and there are lots of other people nearby. Capturing the Magic has a great tutorial on how to get good pics at character meals. Tips include things like which seats to request, what to do when characters get to your table and how to focus your camera. More and more people are taking advantage of Memory Maker which includes ride photos on a CD so it might be fun to plan ahead to try to get better quality photos. This tutorial on taking good ride photos includes helpful info on where to look on popular rides, seats to avoid so you don't disappear in the pics and many other tips. Do you have other Disney World photography tips that you'd add? We'd love to hear your ideas. Please leave them in the comments. First link is still valid. The 2nd and 3rd links you mentioned both point to a site that was temporarily down, but seems to be working now. Let us know if you run into any other issues. My first tip if you are taking a camera is to put your name and address or phone number on the camera. I use an address label. So many are lost at Disney, this improves your chance of getting your camera back. My second tip is to take separate SD cards for each day of your trip if you cannot download each night. Imagine losing your camera three days into your trip and losing three days worth of photos!!! This way the worst case scenario is losing one day’s photos which is sad enough. And always take advantage of Photo Pass photographers using your camera as well as theirs so you are insured of having photos of every day of your trip no matter what happens. Shannon, thank you for the not raising your phone above eye level to be courteous to people behind you ! And Amen! Also, keep kids off your shoulders and lower your beautiful Mickey balloons during fireworks please! There is nothing worse than waiting in your spot for half an hour and someone walking up at the last minute with something like this to obstruct your view! Thank you! Agree 100%. The professional castle shot will be better than my shot ever time. Asking a Photopass photographer to snap a picture of my family that becomes the holiday photo, priceless(done with my own phone too). Only thing to add is please do not line everyone up for a photo and walk across a walkway and expect everyone to stop. Will not happen.. be creative and take a side shot. Thank you! What is the WDW policy on cameras on fast coaster style rides? Do they discourage it? No, they don’t seem to mind as long as you aren’t using a selfie stick. 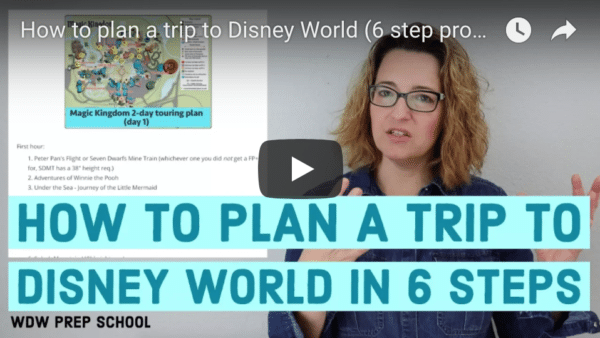 We haven’t gone to WDW yet, but tjese are just the type of tips I was looking for, as a first-timer. Would you know what kind of polaroid camera they used? I have a polaroid camera but I think that the white space leftover would be too small for characters to sign it so I would like to know what kind of polaroid camera they used. My tip is: Always take the photo. It might seems like an insignificant moment, but you’re at WDW. EVERYTHING is significant. And the moment won’t repeat. Also? If you see someone taking a photo of their family, offer to let them be in it. Always. Just do it. Rarely do they turn you down. awesome idea! i love it when people take pictures for us! none the less asking to! Such a great suggestion! In our family I’m always the one behind the camera, so this really hits home for me. I always ask during my week at Disney andi always wait to ensure it comes out like they want. 🙂 it shows my son how to be mindful of others and help. My new phone has a stylus (Samsung Galaxy Note 3) and I’m thinking about taking a pic on my cell and them having characters sign my cell phone on the picture. Modern Polaroid idea. We also enjoy wearing coordinating outfits for the character meals. Not matchy matchy but navy blue, dark green and purple together. The pictures turn out great. 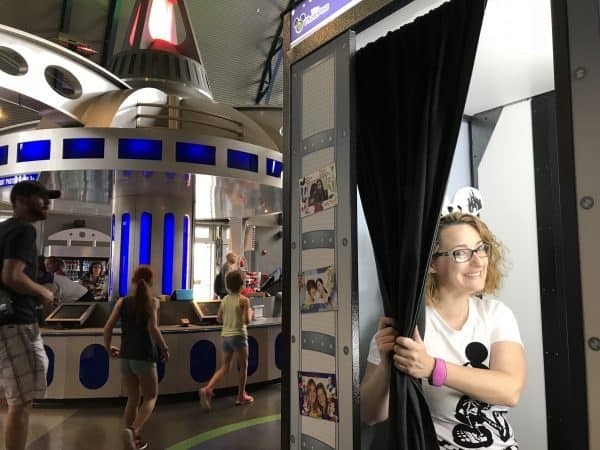 I love looking for the photo ops Disney has put there for us to use. Downtown Disney has many spots and a favorite is where its Mickey and the gang with snow and Christmas trees. Great Christmas card spot! Hollywood Studios with the singing in the rain umbrella as you mentioned. My kids loved that and we got great photos! I watch how the Disney photographers pose and place people for their photos and then do it myself or ask them for that shot with my camera. I can’t wait to go back in January and look for more photo spots! BAH! Taking a good on ride photo?? Where’s the fun in that??? I kind of agree. Our ride photos are awesome because of the awkward and ridiculous faces but some people like to plan things out a bit more (especially if they have little ones who can disappear in ride photos). Awesome, Shannon! Thank you! So excited!!!!!! 4 more days! Yea! Might see you there. Love the Character autographs on Polaroid pics!! This would be great for kids to make their on scrapbook!! Or small enough to put the pic in the autograph books.